"An epic fantasy card game." 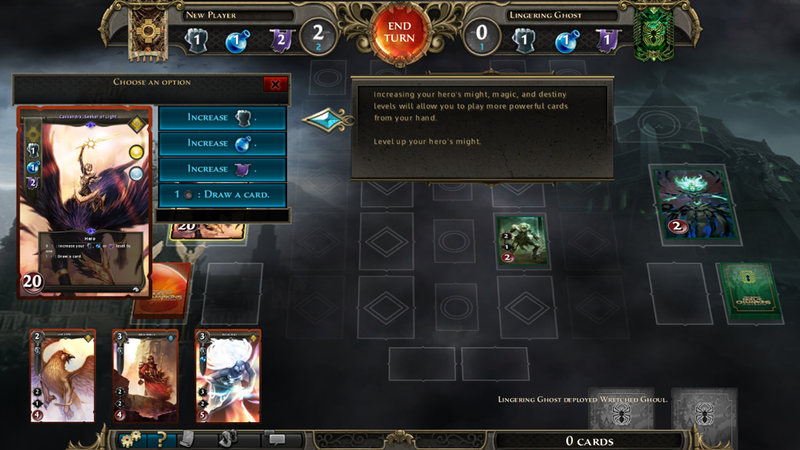 Might and Magic: Duel of Champions is an online fantasy card game, fans of the popular Hearthstone game will be immediately familiar with the layout and it won’t take them long to pick up the rules as this game plays very similarly. If you are unfamiliar with hearthstone then not to worry, if you like card games and like fantasy things this will be right up your street. The game starts you off with a tutorial which is very useful as it can be a little overwhelming to get used to the rules and how many cards you can play and attacks you can make in each hand, but the tutorial guides you through it very gently so it is easy to pick up all the rules of play quickly. The cards have nice designs and the overall experience has very good graphics and sounds. 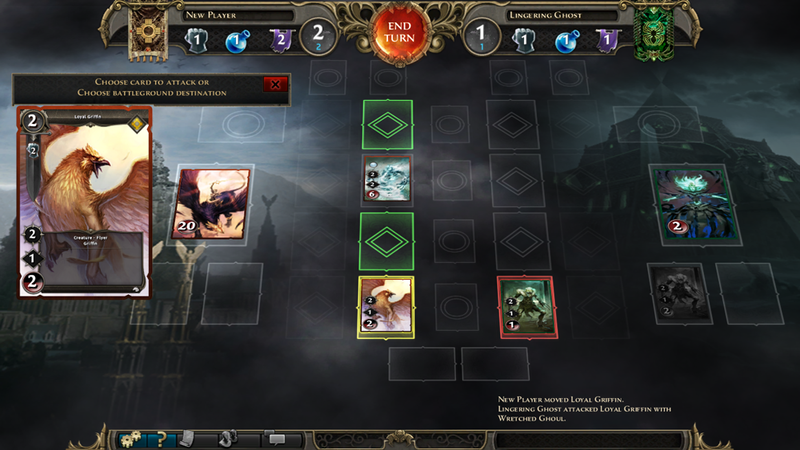 You have a hero card to start with and this affects things such as your power and magic the tutorial gives you a rather large advantage over your AI opponent but when you get to playing harder games and against real players this is when you will need to start thinking laterally and using strategies. If you are a fan of Hearthstone or Magic: The Gathering then you should definitely check out Might and Magic: Duel of Champions but whether it is innovative enough to overthrow those two big players on the virtual fantasy card game scene remains to be seen, it certainly has a chance with its epicness. 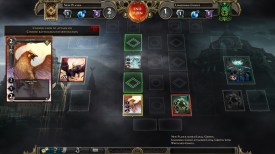 You can download Might and Magic: Duel of Champions here and it’s free.